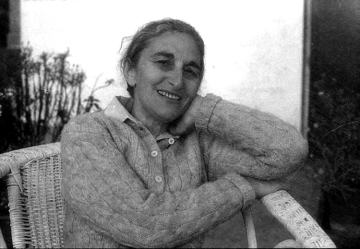 Jhabvala only really sprang into prominence as a novelist however with Heat and Dust, which won her the Booker Prize in 1975. This was a masterly counterpointing of inter-racial affairs between Indian men and English women. The frame story is that of Anne, who goes out to India in part to find out what had happened to her great aunt Olivia. The latter was married to an English colonial civil servant in the twenties and, bored with the role she had to play, she takes up with an Indian prince. The resulting passionate affair shocks British society, just as, in a much less dramatic way, Anne’s affair with her married landlord surprises her more sophisticated associates half a century later. When Olivia decides, having become pregnant, that she has to get rid of the baby, since she is not sure who the father is, the shock waves the colonial establishment feels are what one might expect. Long after the empire has ended however, Anne faces similar reactions to a not quite similar situation. In addition to her sensitive portrayal of young women coping with new social expectations as well as sexual awakening, Jhabvala was also able in her work to get across the maternal smothering that is so prevalent in India. This may have had something to do with her experience of Jewish mothering though, since she had only daughters herself, her offspring did not have to face what must be a terrifying prospect, an Indian Jewish mother dominating her sons. In her fiction however, amongst her most unforgettable characters are the machinating Begum in Heat and Dust and, very different in class and values, Prem’s mother in The Householder who is delighted when the bride she has found for her son leaves him, so she can go back to running his life completely. Jhabvala showed in Heat and Dust that, apart from the beautifully observed depictions of middle class life in post-independence India of her earlier novels, she could also effectively portray colonial India. This perhaps contributed to the next stage of her career, when she became the writer of screenplays for several costume dramas that showcased the glamour as well as the behavioral conventions of the early years of the 20th century. She was commissioned for this first by the Merchant Ivory film production team, the Muslim Indian producer Ismail Merchant and the Protestant American director James Ivory, who were also linked romantically. They had first used the German British Indian Jewish Jhabvala for a screenplay of The Householder, which was followed by Shakespeare Wallah, the splendid depiction of the fascination with Shakespeare that affects all layers of Indian society. This was followed in 1979 by an adaptation of Henry James’ The Europeans, By then in fact Jhabvala had moved to New York, and later became an American citizen. It was while she was in new York that she wrote the screenplay for the film version of Heat and Dust, which cinematically spanned the squalor of modern India and both the squalor and the grandeur of the colonial period. Unlike so many of the visual depictions of British India, Jhabvala’s book and the film she made of it gave prominence too to Indians, even though the principal characters were British. In 1984 she wrote the screenplay for James’ The Bostonians, and there then followed two screenplays of Forster’s novels, A Room with a View and Howards End, for both of which she was awarded Oscars. Nothing perhaps exemplifies the manner in which good British writing had become universal, in terms of ownership as well as impact, than the success of the international team that conceived and carried out these productions. Her next screenplay, for which she was nominated for an Oscar though she did not win it, was the frosting as it were on this particular cake, because it was for Ishiguro’s Remains of the Day, a Japanese writer’s account of the shortcomings of the English aristocracy and its servants in the period between the wars. All this interaction between cultures seems to me amply to justify my including Ruth Prawer Jhabvala in this series, but I should note that I had not initially thought of her, and I was convinced only after discussion with Yasmine Gooneratne, who has written a critical study of Jhabvala’s work. Yasmine has also written about Jane Austen, and it is worth noting that parallels have been drawn between Austen’s work and Jhabvala’s, notably for their concentration on middle-class characters obsessed with social status and tradition, which of course allows for gentle and sometimes very sharp satire. They are both also good on the gradual growth of love, and the various power relationships within extended families. There have also been comparisons with Forster, both for his fondness for India, which does not preclude a wry amusement, and for his social comedy, with its splendid portrayals of powerful middle-aged ladies. At the same time we need to register the salient difference caused by the different periods in which they lived, Jhabvala living for a quarter of a century in an independent India as part of an Indian household. It is a measure of her sensitivity then that she captured much of Indian life while also presenting an incisive portrait of the British in India at different stages of that compelling relationship.